Days before he was brutally killed, former Afghan President and head of the High Peace Council Burhanuddin Rabbani told RT’s sister channel Rusiya al-Yaum that despite the difficulties, he had high hopes for the peace process in his country. President Rabbani led Afghanistan during the 1990s. Most recently, he ran the country's peace council, attempting to negotiate a political solution between the government and the Taliban. The High Peace Council was intended to open a dialogue with insurgents who had been trying to bring down his government since the US-led invasion overthrew their regime in late 2001. It was inaugurated in 2010, amid mounting reports of secret peace talks with Taliban leaders and key insurgent groups. Delivering his acceptance speech, Rabbani said he was "confident" that peace was possible – and he continued to believe and work towards achieving that peace until the end. Rusiya al-Yaum: Today various media have been publishing articles and news about the beginning of negotiations with the Taliban movement. On the other hand, the Taliban leadership has been rejecting any kind of contacts with the Afghan government. My question to you as the High Peace Council chairman is, do you have any direct or indirect contacts with Mullah Omar, and did the latter give his principle agreement to participate in the peaceful negotiations? 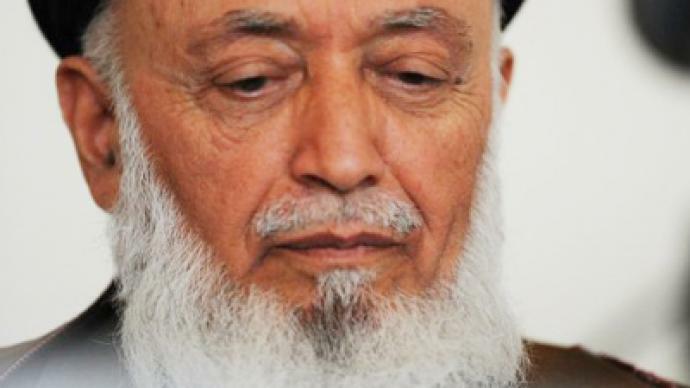 Burhanuddin Rabbani: Today, I cannot say that Mullah Omar has agreed to participate in the peaceful negotiations, or that he has denied this possibility completely. In my opinion, today the Taliban leadership has some trends towards peace, and these trends do have a certain power. They realize that the country’s security is in their interests as well. No doubt, presently there are divisions within the Taliban leadership operating in the country as well as beyond. Our delegation was contacted by different leaders of the movement outside Afghanistan, but they asked us, in the interests of the final goal, to keep their names confidential. We understand that there are issues within the movement, and there are certain forces that can cause problems for those who contacted us. 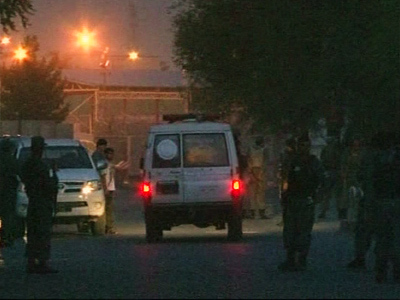 Some forces intend to undermine the peaceful process and the negotiations with the Pakistani government. Rusiya al-Yaum: About two months ago, Afghanistan entered a new period of a possible withdrawal of the international forces from their territory. Do you think that in 2014, when the coalition forces are withdrawn as promised, the country will plunge into an even worse war, a civil one? BR: I have no doubt that during that period we will manage to consolidate our armed forces and police, and resolve our problems and disagreements with the Taliban movement and other armed groups operating in the country. The troops’ withdrawal will certainly take place, and perhaps certain difficulties will arise, in order to resolve which we should settle our issues with the Taliban as soon as we can. Certainly, the people of Afghanistan do not want foreign troops to remain in our country, and we don’t want our nation’s security to depend upon a foreign military presence. 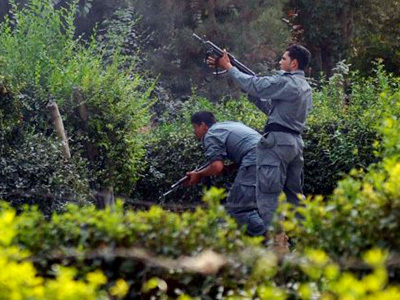 It is unacceptable for the people of Afghanistan. However, considering the critical security situation in our country, the lack of stability and the continuing armed clashes, we have to tolerate the foreign military presence in Afghanistan. I have already emphasized that there would have been no civil war in Afghanistan and no problems with the Taliban if not for the numerous invasions by foreign countries. After all, the people of Afghanistan had managed to live for centuries without such infighting. In any case, we would like our country to have peace and stability even prior to the withdrawal of international troops. We want our army and our police to assume full responsibility for providing security in our country. Rusiya al-Yaum: How do you view the future of Afghanistan and the prospects of peace? BR: It is clear that peace is not only an objective, but also a responsibility of the Afghan government, as well as a vital need for the people of Afghanistan. To this end, our High Peace Council works in cooperation with the government of Afghanistan in order to provide peace and security throughout the country. It is obvious that the issue of peace in any given country depends upon a number of factors, from domestic politics to the attitudes of neighboring nations and their governments. Therefore, we have started moving in two directions: promoting dialogue with the Taliban inside Afghanistan, and promoting dialogue with our neighbors and the entire international community. We have made some progress on both of these tracks. In particular, we have received assistance as well as certain commitments from the countries of our region, especially Pakistan, and we expect the government of this country to start making some practical steps. As for the Taliban, we have launched a dialogue through a number of delegations. So far, we haven’t been able to achieve any specific results. The biggest challenge for us in this case is the issue of representation on the part of the negotiators on either side. And again, a lot depends upon Pakistan’s attitude in this respect. As soon as the government of Pakistan decides that it is time to seriously tackle the issue of peace in Afghanistan and undertake the task of providing their assistance and protection to our country, I’m sure the peace process will be out of the deadlock.